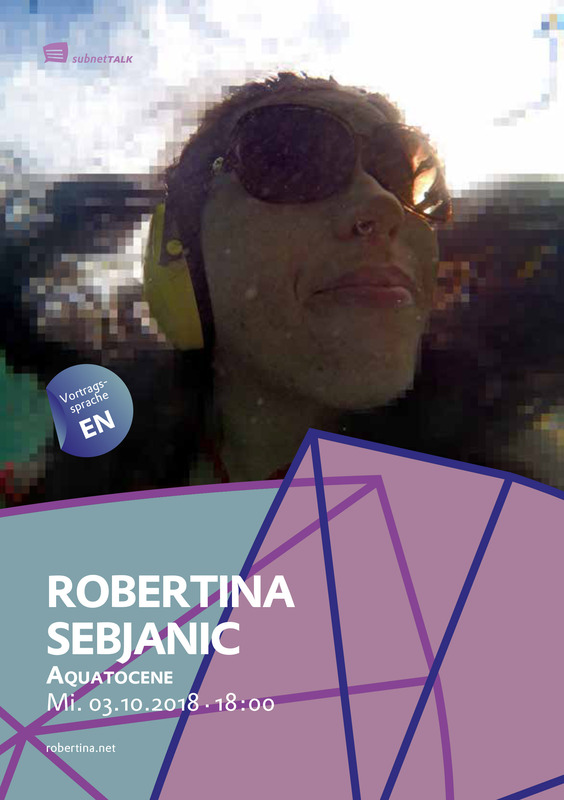 Robertina Šebjanic’s project “Aquatocene / Subaquatic quest for serenity” reflects the aural underwater acoustic environment and the sound (noise) pollution produced there by human presence. The Aquatocene explores the relationship between sound, nature and society. It encourages rethinking the (invisible) human impact on the underwater habitats. Over the last few years the artist has made a number of recordings using hydrophones in different locations around the globe. Robertina Šebjanic will also present her sound compositions. Robertina Šebjanic is an international exhibited artist from Slovenia. Her artistic work deals with cultural, (bio)political and ecological realities of aquatic environments. With her projects she tackles the philosophical questions at the intersection of art, technology and science. Her projects are often realized in collaboration with others, through interdisciplinary and informal integration in her work. She is a member of Hackteria Network and Theremidi Orchestra.